Creating a list of the great things we are looking forward to at Governors State University in 2016 is a challenge. Where to cut? What to leave out? Surely something that deserves to be included will be omitted. If there's something you think is missing from the list, let us know! SIXTEEN: Cafeteria Renovations—The university’s dining facilities are getting an update. The serving area equipment will also be renovated, expanded, and refurnished. FIFTEEN: The Center for the Junior Year—The CJY focuses on student success in transitioning to the junior year and attaining a baccalaureate degree. The goal of the CJY will be to assist students in making informed choices about majors and careers. FOURTEEN: A New Residence Hall—With Prairie Place at capacity, a study to evaluate whether GSU will build a second student housing complex on campus will be conducted this spring. If the study finds the project is financially feasible, the project will move into a design and construction phase in the spring and for occupancy in the Fall of 2018. THIRTEEN: Class of 2020 —The success of our first two classes of freshmen makes us anticipate the arrival of the third group even more. What will be the over/under on how many new arrivals we’ll see on campus this fall? Three hundred, anyone? TWELVE: Basketball Courts outside of Prairie Place—Now the residents can finally show us their game, instead of just talking about it! ELEVEN: Athletics Starting in CCAC—Acceptance into NAIA was just the beginning. GSU athletes will now get the chance to build real rivalries with area universities in the Chicagoland Collegiate Athletic Conference (CCAC). That’s when the competition gets intense! TEN: Study Abroad opportunities—This year the College of Business is sponsoring a trip to South Africa. There will also be a Health Administration trip to Sweden, as well as a China Studies International Summer Program at Hangzhou Normal University this summer. 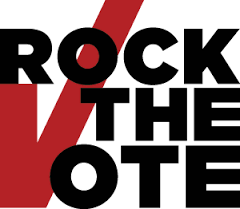 NINE: The Student Senate Rocks the Vote!—It’s a Presidential election year and GSU will be a part of it. GSU is currently a polling place and will also be an early voting site. The first of four voter's registration drives will be held January 19, from 11 a.m. to 6 p.m. in Hall of Governors. The voter registrars are able to register all citizens residing in the State of Illinois, no matter which county they live in. 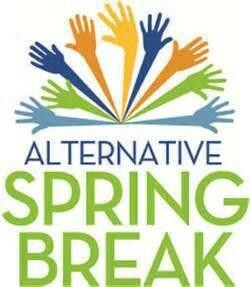 EIGHT: Alternative Spring Break, Puerto Rico!—Our GSU students will travel to Puerto Rico to perform community service initiatives in the areas of environment and literacy. This is an experiential learning opportunity for students to exercise global citizenry at the national level. 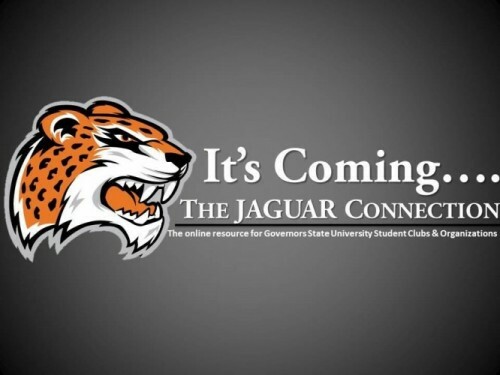 SEVEN: The “Jaguar Connection”—The Jaguar Connection is the long-awaited tool that features student clubs, organizations, and events. It's a place where students can start or join an organization, or make plans to attend an event. Club leaders can gather contact information, share event dates, and post-election processes for all clubs and organizations. The site also makes it easy for clubs to communication with each other. SIX: All-Campus Symposiums—The first symposium, on February 26, features Uri Trestman, Professor of Mathematics and Public Affairs at the University of Texas. The September 23 symposium will focus on diversity issues and features Alma Clayton-Pedersen, Senior Scholar with the Association of American Colleges & Universities. FIVE: The Lakeside Lounge—A new space for the GSU community to relax, study, discuss, or watch T.V. takes over the space that was the Cafeteria Annex. New amenities and furniture will turn the glass enclosed area into a bright, comfortable community lounge. FOUR: 2016 Graduation—Parting is sweet sorrow, but the future beckons for our Spring 2016 graduates. This year’s Commencement ceremonies on Saturday, May 14 will feature electronic ticketing, which will make attending the event a smoother process for everyone. THREE: The Small Business Development Center at GSU TURNS 32—The SBDC has helped the economic fortunes of the entire region GSU serves. Since 2001, it has helped start 190 new businesses and expand 153 existing businesses, with investments in the region (loans and equity) totaling $155,754,670. TWO: Quiet—Students have requested more quiet study space in the library. With the help of the Friends of the Library, those wishes will come true. There soon will be more quiet study along with more study space in general in the GSU Library. A 2015 Illinois State Budget! The NUMBER ONE thing we look forward to most of all in 2016 is a 2015 Illinois State Budget.